Subscribe - Enjoy all the latest goodies and never miss a post! Subscribe – Enjoy all the latest goodies and never miss a post! 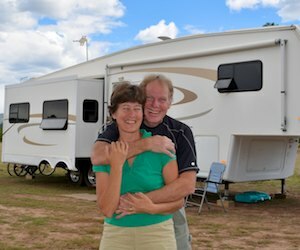 Subscribing to this blog is free and easy! There are two ways to go: email or an RSS reader website or mobile app. You can opt to get an automated email message every time a new post is published (once or twice a week). Or you can opt to get a weekly summary email message that I send out each weekend with links to all the posts that were published that week. Either way, to prevent these emails from landing in your SPAM folder, please add the email address emily (at) roadslesstraveled (dot) us to your SAFE SENDER list. Also, please include your first and last name along with your email address on the subscription form (you can always put in a fake name for anonymity). We never share our subscribers’ email info. Click here to receive an email whenever a new post is published. Click here to receive a summary email each weekend that gives links to all the posts published during the week. Gmail users’ mail is pre-categorized by Google and our emails land in either UPDATES or PROMOTIONS rather than your In Box. 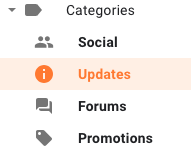 Note for GMAIL accounts: if you read your email via Google’s website interface, our emails will land in your UPDATES or PROMOTIONS area under the CATEGORIES file on the left side of the screen. You can encourage Gmail to place our emails in your In Box by moving one of the emails you receive from Roads Less Traveled into your In Box. The next time an RLT email is received it should land in your In Box. Or, if you don’t like having Google pre-sort your mail for you, you can receive all your email in your In Box by doing the following: Click the SETTINGS star shaped button in the upper right corner, then choose CONFIGURE INBOX and then UNCHECK the check boxes for UPDATES and PROMOTIONS. More info here.